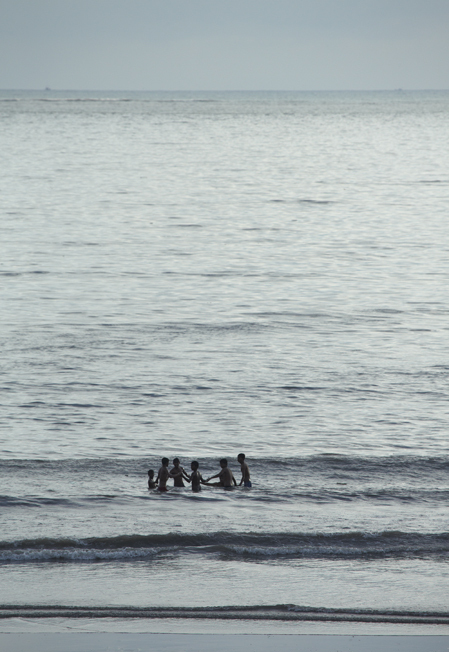 I was shooting some kids swimming in the waves of Mumbai. Suddenly they gathered themselves and took each others hands. mystical moment, and i will never know what it meant.